These are fantastic. 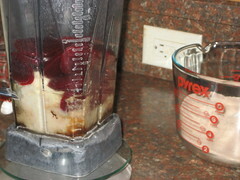 I don't know what it is about beets, but they really work with chocolate. 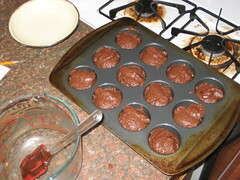 The muffins rise nicely, they don't collapse, and have a great consistency. 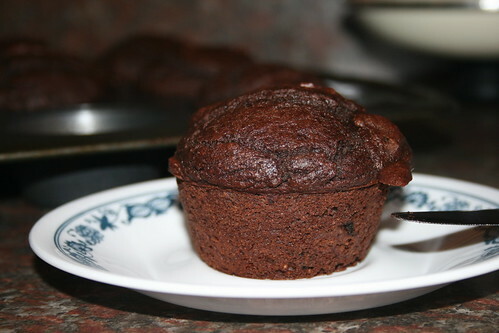 Fantastic vegan chocolate cake/muffin recipe. I' m really fascinating by your blog! Great job. I' ll try to make this recipe tomorrow, but i dont know what is whole- wheat pastry flour in my country and if it is available here. Can i use all- purpouse flour? Should i change amount of it then? Yes, you can just replace it with the same amount of all-purpose flour. 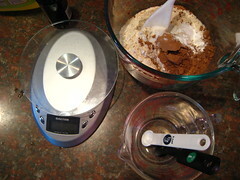 Whole-wheat pastry flour is just another kind of flour that is a bit healthier. Thank you! we' ve made it today. Our okara wasn't very wet (we make soy milk without machine and this is the reason i think) so we had to add some more milk. 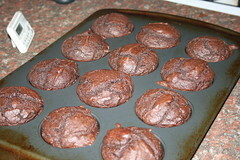 Muffins are really good, they are like a mud cake.